You don't have to spend $20 on a Valentine's decoration! 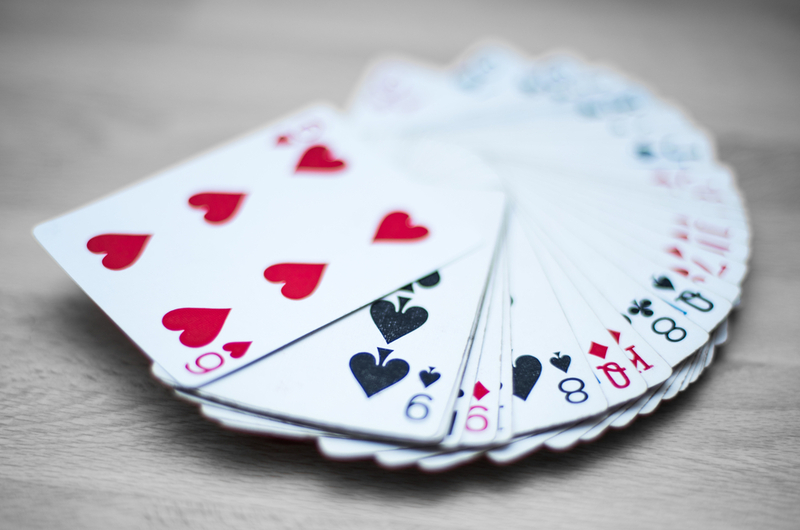 Here is a great DIY that you can complete with things from your home or for just a couple bucks if you need to get a couple more decks of cards! 2)Cut out the foam board with an exacto knife and found two decks of cards. You can pull out the heart cards or you can paint your own designs on the cards! 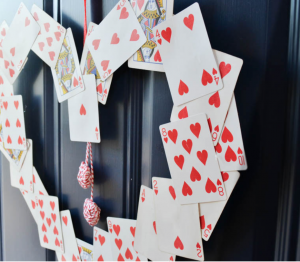 Depending on the size of your wreath you will need about 2 decks of cards if you are only using the hearts! 4) Add a ribbon to the back in a loop so you can hang up your new Valentine's Day wreath! Use it year after year or recycle it when you are done! We hope you love this DIY and that you have a wonderful (and eco-friendly) Valentine's Day!